If for any case your English is not 100% perfect, you have to admit. Everyone needs a helping hand, but the first measure is to admit you have a problem. When you are submitting your work to be published, there are several things that you should first of all check to ensure everything works as planned. One of those things is grammar. You need a 3rd party tool that will highlight all the mistakes and eventually propose some corrections to the existing errors. The second thing, in this case, is punctuation. It has its own way of affecting the message being communicated. The reality of the matter is that grammar rules are highly unbreakable and programmable. This is the first reason why languages are automated. When it comes to online tools and robotic intelligence in correcting grammar and punctuation, there are several tools that are at your service. 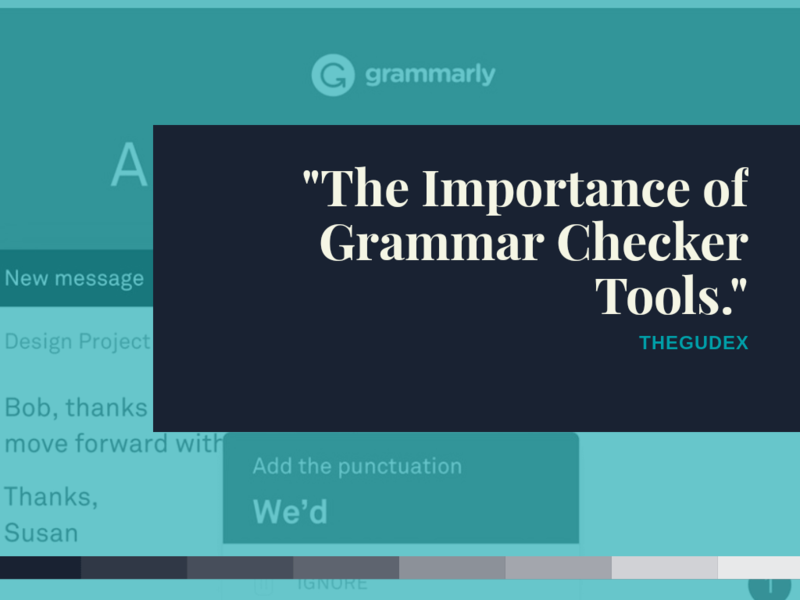 Why Do You Need Grammar and Punctuation Checker Tools? Previously, these tools would only handle rudimentary functions. They could only focus on auto-capitalization. However, technology over the years has proven that much can be attained. Grammar checkers today have learned to understand context. What this means is that they can actually understand messages being communicated and in some situations can identify misused words. They are aimed at identifying these messages, and for that reason, they can correct them with unmatched accuracy. Today computers have proven to be more accurate in proofreading content and correcting mistakes with greater accuracy. The main reason why this is possible is because machines are not unlike humans and aren’t fond of forgetting things, they also don’t skim read or unconsciously miss some things when reading out. To get the best out of your writing, you need to be able to take care of the fundamentals before you even start looking for other solutions. In this article, we are going to address some of the most popular and useful tools to check for grammar and punctuation. There are several reasons why most of the people today are going for these tools. These tools can be used in almost all perspectives. If you are planning to start a blog or if you are a writer and you want to provide 100% unique and error free articles, then these are the best partners in office. Lecturers and students can as well use these tools to ensure that they are receiving and issuing the right documents. The reality of the matter is that you have to improve your writing skills. In most of the cases, there are several errors that you are likely to make, but computers cannot make the same mistakes. It is surprising how individuals whether professional or amateur find it difficult to write articles and other contents using the correct grammar and punctuation. The reality of the matter is that there are several reasons for this and for that reason, there are several reasons why someone would rely on grammar and punctuation checkers. These tools have uncountable benefits that no one should underestimate. Using grammar and punctuation checking tools relieves you a lot of stress and time that you could otherwise use to check for the mistakes manually. This is one of the key reasons why most of the peoples are going for automated ways of detecting and fixing grammar and punctuation mistakes. You don’t have to spend half a day proofreading your 10,000 words document when there are online solutions that could take merely 20 minutes proofreading the same. Online grammar and punctuation checkers help you save your precious time and at the same time write correct English. This is another very imperative consideration when you are checking for a language checker. In most of the situations, the tool will help you proofread and get the right spelling and punctuation by giving you a suggestion on the left side or also auto-correcting as you write. This is the first thing that should cross your mind every time you think of sitting down on your computer to write any content. The fact is that if you don’t have command over a language you intend to write the content on, then you are unlikely to write it correctly. 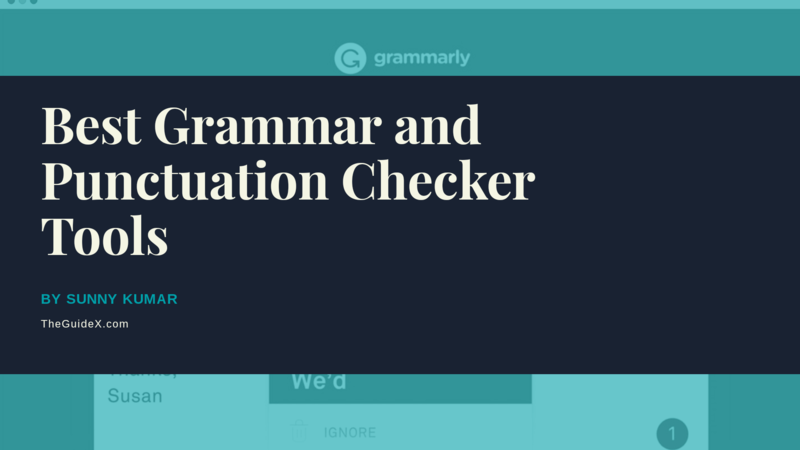 Online grammar and punctuation checkers help you correct spelling errors with ease. It even makes it more effective than it was before. The tool also gives you suggestions and for this reason, you can be able to pick the right spelling according to the suggestions given. It is up to you to do comprehensive research to get the right tool for all your needs. In most of the cases, there are several human errors when writing. For this reason, most of the situations the intended message isn’t communicated the right way. As a matter of fact, there are several problems that accrue when you don’t write the correct grammar. If you are a professional or someone who is always caught up between writing multiple documents and emails and ensuring that they are written correctly, you have to rely on these tools for help. They will at all times suggest the right grammar and at the same time give you an easy time determining what is needed at each point in time. Besides the advantages stated above, there are several other small advantages that are likely to accrue when you get a reliable checker. Ease of use- Most of the grammar and punctuation checkers available in the market today have a very simple user interface and they also don’t involve a lot of commands when in use. In most of the cases, you have to upload the document you want to check for errors and the next step will be to execute the main aim of the tool. In some other cases, you can attract these applications together with Microsoft applications such as word so that every time you are writing a document they actually correct for any errors. No Limits: In most of the sites, you don’t have to worry about the number of words that you can upload to check out. They don’t limit customers on the number of words especially when you have subscribed for a whole year payment plan. Premium Features: Most of the tools that are available in the market today offer a chance for every user to upgrade to the premium account for additional features such as plagiarism and other issues. What this means is that if your needs are very dynamic, then you can always get a premium account. However, you have to incur some costs for this. It is for Everyone: The fact is that almost everyone can at all times use grammar and punctuation checkers without any limitations. It can be used by professors, freelancers, and students at all times of the day to check for grammar and punctuation errors. However, most of the tools can as well be used to check for plagiarism and other copyright issues. For people who take English as their second language, it is always imperative to get one of the below tools to check your grammar. Here is a list of top 9 best grammar checking tools that are available in the market today. This is the first tool that we will talk about today. There are several reasons why most of the writers are using Grammarly to check for grammar and punctuation errors and fix them. As the name suggests, this tool is aimed at making sure that you write 100% error free articles and at the same time communicate your message well. This very useful tool was launched in 2009 and over the years so much has happened with the development team. They have for the years invested so much energy and money to ensure that this tool becomes the best tool in the market with accuracy and capacities. Today almost every user has agreed that they are paying for the real worth. The company calls itself the ‘’world’s most accurate grammar checker’’. 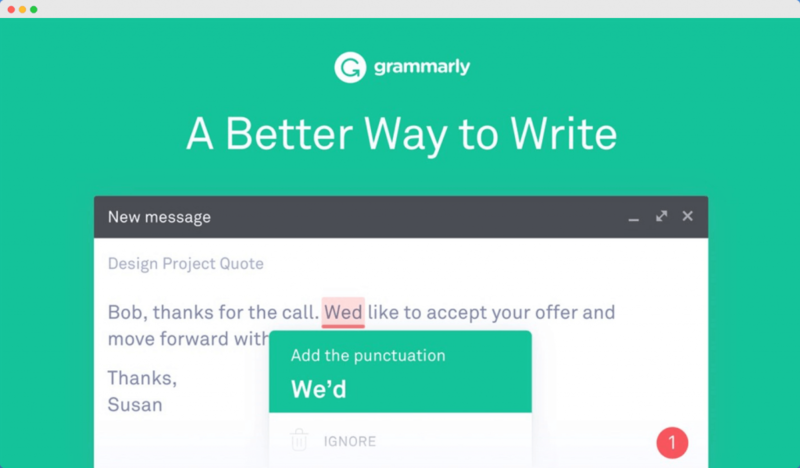 Although there are several other tools working the same as Grammarly, nobody has over the years disputed that it is the world’s leading grammar and punctuation checking software. Accuracy – Grammarly edges all the other when it comes to efficiency. It is the best tools when it comes to catching more errors and providing more and helpful suggestions. The software also provides the user with either basic or more advanced interface options. Grammarly is Everywhere – One thing that most of the people agree on is that Grammarly is omnipresent. It is one of the most reliable software because it is available as a dedicated desktop application in windows and Mc OS. It is also as an application for iOS and android. The other good thing is that this software is available as an extension for some popular browser: chrome, Firefox, safari and edge. Excellent Support – This is another reason why almost everyone is going for this software. If you want to get clarification on something or just optimize your experience with the software, you can at all times reach its highly proficient support team. It is very expensive to upgrade to its premium version. it doesn’t support Google Docs and Office on a Mac. This is another very useful and reliable software for checking for grammar and punctuation mistakes. This application uses unique technology which is known as Natural Language Processing. It also utilizes artificial intelligence and sophisticated algorithms to ensure that they are getting a clear picture of all the errors that are available and fixing them. With all the technology put in place, you can expect that this software is a good option especially when you are a freelancer, a student or a lecturer. Writing Assistance: This software offers a couple of useful tools to improve your writing. It also ensures that all the mistakes you make as you write are highlighted for you to correct. It also offers a greater option when you are writing grammar sensitive articles. It provides free writing assistant for those people with dyslexia, free toolbar download, translator and several other useful tools. Scoring your Progress: This is another very imperative feature that most of the people like. You can use the application’s writing score feature which is displayed using the colored bar and plain words like poor, fair and excellent. Pricing: This software also offers flexible essential and premium payment schemes in monthly, yearly or 3-year plan. This is a grammar checking and manuscript editing tool that almost everyone is talking about in 2019. One good thing that makes people look for this tool is that its main purpose goes beyond grammar checking. It helps any writer turn their writing from good to great. This product is mainly used by many authors to increase the readability of their texts. If you want to give it a try, then you can get it with a 40% coupon. It offers all what you needed to correct your grammar and vocabulary. It helps people improve overall writing reports with the style suggestions. It is also updated with the latest English vocabulary. It sometimes lags especially when you add books with more than 5-00 pages. You cannot use it to check for plagiarism. It comes as a separate feature. This software is at the top list of the best proofreading tools of 2019. It is also the best grammar checking tools. If you have some varying uses for this tool, then it is the best in terms of multitasking. It can be used to check various errors which includes spelling, misused word and several others. The other good thing about this application is that it is available online and also as a software. This other tool is one of the best online grammar checking tools. It can check and correct grammatical errors across multiple languages. It also gives you a clear suggestion that you can use to predict the best and the most appropriate word for the sentence. If you are one of those people who usually like documents translated into other languages, then this is the best tool for you. It can as well be used to meet all the grammatical standards even when it is being used to translate. It is one of the best tools that you can use especially if you are a professional translator. Most of the people also claim that this tool also captures many different mistakes and gives a clear suggestion when you are correcting them. What this means is that if you want to ensure that the article or the document you are dealing with is grammar free, take this tool. It catches more grammatical errors. Another drawback is that this application will not integrate with the word processor. This is a great option especially when you are looking to eliminate wordy sentences. It can as well be used to change all complicated wordings and other bad writing. What this means is that this is the best tool when it comes to improving document readability. It helps you to detect passive sentences and also to shorten the sentences. This means that it helps you become a better and a professional writer. It should be the first thing that crosses your head when you think about great work. It can be used by freelancers, students and teachers to check for grammatical errors and other mistakes. You have a great chance to break your bad writing and at the same time improve your content. Some users don’t like it. It may seem foreign to some of them and difficult to use. When you are done with the article but still wants to check and see if the article is ready for publishing, this is the best tool to use. It has some unique features that will ensure your document has a good rating. It offers just a simple rating and at the same time helps you correct all the mistakes that are in the text before you publish it. It also offers flexible pricing plans. However, there are several options that are available for you when it comes to correcting the mistakes. You can check for all the grammatical and punctuation errors hustle free. Here is another tool that almost every person has been waiting for. It is a good tool to check for spelling and grammar. This tool was developed by the same group that started After the Deadline blogging platform. After the deadline tool is a great option especially when you are in a hurry to complete an article but at the same time doesn’t want to have a lot of punctuation and grammatical errors. Reverso is one of the best applications that are available in the market today for grammar and spelling checking. It is the best tool for those people who want to translate the article. It works with multiple languages including Russian, Arabic, Hebrew, Italian, French, Spanish and many more. Expansive Language Tools: This tool is the best in case the language needs are very intense. Accurate: Another thing that most of the people like about this tool is that it is very powerful and accurate. When you are looking for the best tools in the market for grammar and punctuation checking, then there are several things that you have to take into consideration. This is to ensure that you are looking for the best tool and at the same time it doesn’t drain your financial reserves. Here are some of the factors to take into consideration. Accuracy – This is the topmost factors that you should look for. You want to be sure that the tool you choose will help you in one way or the other to correct the mistakes your article has. If you think that you are going to trust your tool on this, then you have to go for the most accurate tool. Price – One thing that most people don’t have in mind that most grammar and punctuation checking tools can be expensive. For this reason, you are supposed to go for a cheaper alternative. Ease of Use – This is the 3rd most important thing that you should have in your head. Ensure that the tool you are going for has a simple and user-friendly interface. Premium Features – You also has to ensure that the premium features of the tool you are going for are adorable and useful. This should be a consideration depending on your specific needs. The above are the top best grammar and punctuation checker tools that you should be looking for to make sure your writing is great. I highly recommend the above tools to freelancers, bloggers, students and other writers especially guest posting writers. They will correct your grammar and in some cases give the rating of your document. I hope you have enjoyed this comprehensive guide; you can share your favorite tool in the comment section below and also let me know if you have any other queries. So here in this guide, we are going to address some of the most popular and useful tools to check for grammar and punctuation. Really like it and the new look of your site is also lovely. Keep it up !!! one day you’re one of the best Digital Marketer. Thanks for sharing 9 Best Grammars and Punctuation Checker Tools . It really helpful to me when we write content. Thanks for sharing valuable free tools with us..
First of all nice selection of grammar correction tool I had no idea that so many of them exist, secondly I would like to know if there is any free grammar correction tool available in the market, and I have used Grammarly mentioned here, its a fabulous tool but again the free version has limited features as you have correctly mentioned.